Articles on some of the major teachings of the various branches of Buddhism. Note that basics shared by most of the branches are in the Basics category. In 2014, Chinese New Year and Tibetan New Year (Losar) fall a month apart, on January 31st and March 2nd. In both traditions, 2014 is the Year of the Horse. Learn more about these festivals and predictions for this year. Anger, greed, and ignorance are often referred to as the 'three poisons' in Buddhist teachings, and uprooting them from our mind is an important part of Buddhist practice. Learn their associated states, and methods for working to release them. Fifth-century Buddhist scholar Buddhaghosa taught there were six types of people, corresponding to three mental tendencies. Come learn which one you are, and the best corresponding meditation technique. Dzogchen teachings within Tibetan Buddhism posit that our natural condition is one of undifferentiated, pure awareness, and that we can come to know ourselves as this directly. Sometimes referred to as a 'nondual' tradition, Dzogchen transcends religious and cultural boundaries. 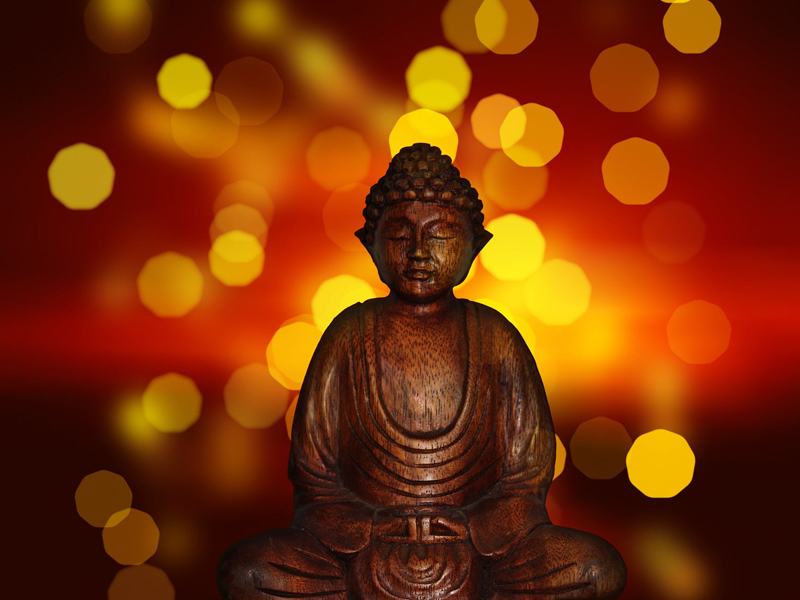 Is Buddhism an Atheist Religion? The term 'atheist religion' might seem like an oxymoron, but to many it applies to Buddhism, as it does not posit a supreme being or creator, and yet on the outside it may appear to have many of the 'trappings' of a religion. Learn more about the various views on this in this article. As Buddhism spread outward from India, many new branches developed, often integrating existing traditions. Four main forms of Buddhism are practiced in Japan today - Pure Land, Nichiren, Shingon, and Zen. Learn the basics of these four distinct schools in this article. In addition to being Valentine’s Day in the west, Feb. 14th 2010 is the start of the Lunar New Year, also known as Chinese New Year or Losar (Tibet and Bhutan.) Learn how this holiday has merged with Buddhist culture in some countries, and what predictions are for the Year of the Metal Tiger. Prajna and upaya, or wisdom and skillful means, are two entwined central concepts on the pathway to enlightenment within Mahayana Buddhism, which includes both Zen and Tibetan Buddhism. Learn how these two aspects interrelate, and how they correspond to the feminine and masculine within us. Reincarnation - What Does Buddhism Really Teach? Many people associate reincarnation with Buddhism, but in fact the Buddha taught about rebirth, not reincarnation. What is the difference, and what do the different schools of Buddhism teach about it? What is its relevance to Buddhist meditation and practice? The conceptual framework known as the 'five Buddha families' is a way of understanding the energies at work in our own minds and personalities, as well as in the world at large. Come find out what 'family' you belong to. While Tibetan Buddhism has grown in popularity in the West, many people are not aware that there are actually four distinct schools within it, each with unique teachings and practices. Learn a bit about each in this article, as well as which one the Dalai Lama belongs to. Some branches of Buddhism, particularly Tibetan Buddhism, adhere to the idea that we are currently in a cycle of time called the Kali Yuga, often compared to Christian end-days or '2012'. Learn more about the Kali Yuga and what Buddhism teaches regarding it in this article. 'We are what we think.' This first line of the Dhammapada, one of the foremost records of the Buddha’s teachings, is often quoted by supporters of the Law of Attraction. But are contemporary teachings on the Law of Attraction compatible with Buddhism? Tibetan Buddhism delineates six 'bardos', or states of consciousness, that we experience, including three states that occur at death and between births. This article describes each, and briefly explains the teachings commonly referred to as the 'Tibetan Book of the Dead'. Buddhism defines six realms of existence that a sentient being may be born into based on karma, ranging from a god-realm to a hell realm. Learn what these realms are, why a human birth is considered the most auspicious, and how we can understand the relevance of these realms to our daily life. In Mahayana Buddhism, particularly Tibetan Buddhism, three 'bodies' or 'kayas' are used to explain the nature of Buddhahood and reality - a 'truth body', 'bliss body', and a body in space and time. Learn a bit about this fascinating teaching. Upaya, or 'skillful means', is a key concept in Mahayana Buddhism, of which both Zen and Tibetan Buddhism are a part. Find out what upaya means for both individual seekers and teachers, as well as the Buddha's story about upaya, 'the white lie', as told in the Lotus Sutra. Vajrayana or Tantric Buddhism, found in both Tibetan and Japanese schools, is an esoteric form of Buddhism emphasizing direct transmission of teachings and the possibility of enlightenment in this lifetime. Vesak, celebrating the Buddha's birth, death, and enlightenment, is the most holy day of the year within most Buddhist traditions, and falls on May 24th/25th in 2013. It corresponds to the month of Saga Dawa in Tibetan Buddhism, and all are celebrated as times to reaffirm our commitment. Vesak or 'Buddha day' is celebrated in the Spring on various days within different Buddhist traditions, the first being April 8th in Japan. It is a time for celebrating the Buddha's birth and teachings, and for renewing one's own commitment to the path.